Optimum nutrition natural oats and whey are an essential component to anyone diet who is participating in high intensity workouts. This product contains no artificial flavours or sweeteners and is naturally low in sugar. Oats provide slow digestion complex carbohydrates which make you feel fuller for longer. Whey proteins are easily digested and provide significant quantities of essential amino acids with high priority on the three branched chain amino acids which are valine, isoleucine and leucine. 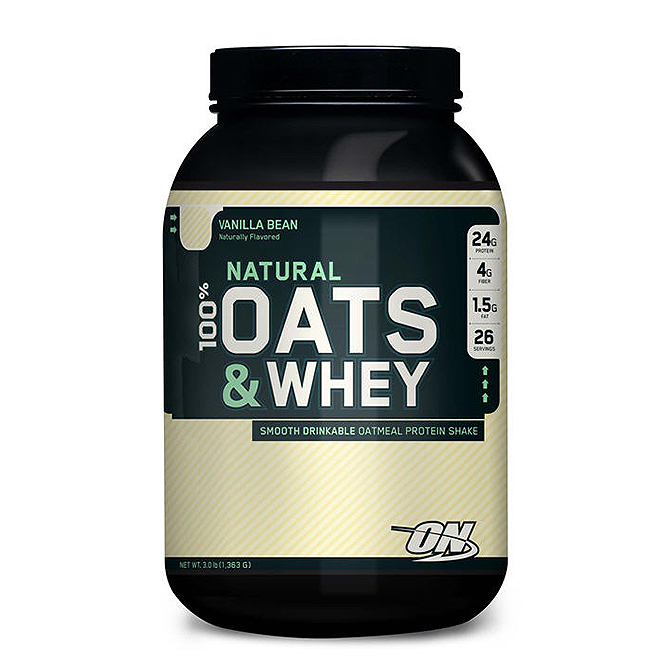 This product combines the benefits of both oats and whey protein into a smooth delicious shake that is quick and easy to prepare. 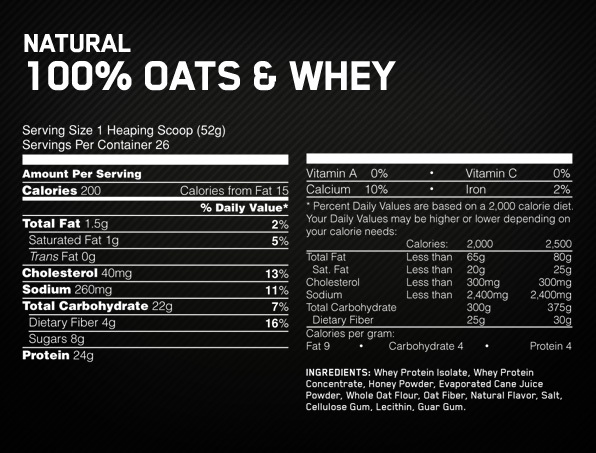 Each serving provides 24g of whey protein and a high dose of fiber. This product is also completely free of artificial flavours, sweeteners and synthetic colours. It is perfect for after workouts or for breakfast.